Well, it’s almost been a month now and I still can’t believe I’m typing this…I’M FREAKING ENGAGED!!! 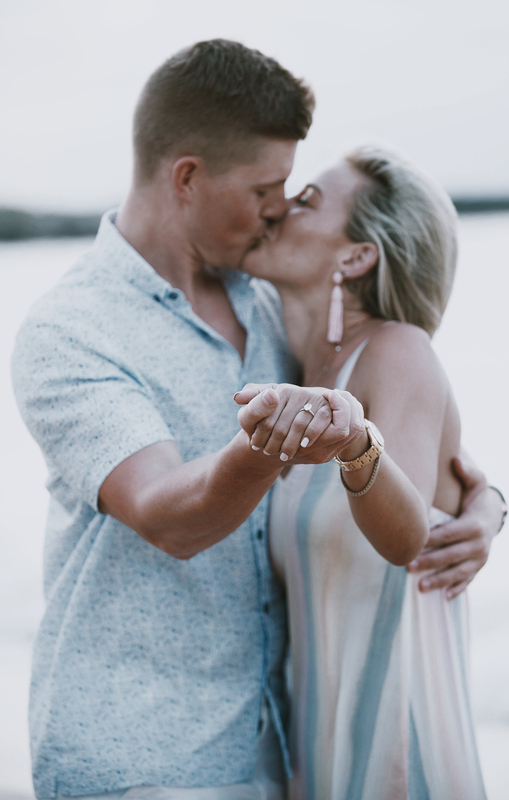 Fair warning: this post is a bit lengthy, but bare with me so I can share all the details on our Hawaii engagement as promised…. I feel like before going into this story it’s important for me to mention that my (sweet) fiancé, Kyle, is a planner. And when I say planner, I mean wants an hourly breakdown every.single.day and if things don’t go to plan/aren’t on schedule, he turns into Karen and has mini (sometimes huge) meltdowns. It’s something I’ve learned to accept and still love him for, but luckily I’m extremely go-with-the-flow! Relationships are all about balance, am I right? The day started out perfect. It was 4th of July and our second day on vacation in Hawaii with my family. We had planned for a nice relaxing beach day and did just that. We played paddle ball on the sand, drank beer, had lunch, and soaked up the sun. Around 3pm my family said they had enough sun for the day and headed up to their rooms to rest before our night festivities. Our plan was to go have cocktails on the beach and catch the sunset, then go to Fleetwood’s in Lahaina for dinner and see fireworks. I told Kyle let’s stay down at the pool by ourselves for another hour before heading up to get ready. …..at this point I was clueless!! While we were at the pool I saw Kyle get a text and he suddenly got quiet/almost a worried look on his face. So I asked him if everything was okay and he said yeah it’s good, I don’t want drama to ruin our time together…I’ll fill you in later. I brushed it off assuming it wasn’t a big deal, but little did I know the text he received was from the photographer letting him know they couldn’t photograph the engagement on the beach right outside our hotel in Maui (due to professional photography laws on that particular beach) and there needed to be a sudden change of location. Now, mind you…this was just a few hours prior to when he planned on proposing. He stayed pretty cool on the outside, I have to give him props….but HELLOOOO PANICKY KAREN on the inside. I still have no idea at this point! We enjoy our time at the pool, my brother-in-law helps him come up with an alternative plan, and my dad sends a group text letting us know that we’ve moved the ‘cocktails & sunset’ location to the Ritz Carlton beach (10 min drive from our hotel) because he heard it was supposed to be beautiful. This was not unusual for my dad as he’s always the master tour guide when we vacay with him! As we we’re getting ready, I was deciding between two dresses. I planned on wearing a red & white striped dress, but tried both of them on for Kyle and he picked the colorful striped maxi I wore that night. This wasn’t unusual for him either because Karen LOVES to give me style advice, even though…. 😉 His style opinions don’t always win, but we coordinated perfectly and I love that he thought about that! As my family peaked over from the left and we were standing alone on this beautiful beach with nobody around us, it hit me. He was so nervous holding my hand and then I started to get nervous!! What probably seemed like a million minutes to him, seemed like a flash to me. I don’t remember all of it because you just kind of blank out in that moment…but here’s what I do remember….. He asked to see my drink and sat them down in the sand (away from us so they weren’t in our photos…love that). I then got to see Kyle in a very vulnerable state. He looked into my eyes and I felt so many emotions from him. He was nervous, happy, sensitive, intentional, sincere, loving, affectionate, and emotional all at once as he asked me to marry him & spend the rest of our lives together. This was so special to me and a moment I will never forget for the rest of our lives! I obviously said YES! as he got down on one knee and showed me the beautiful ring. My next words were…”but did you ask my dad? !” This is a silly question because Kyle would never ask without my dad’s permission, but I just didn’t think there was a way for him to have talked with my father because we’re always together….we live together! Being the crazy planner he is, I figured it would have been many months in advance. But a few weeks back he told me he had to work late and that’s when he made a special trip to Dallas to ask my dad for his blessing. 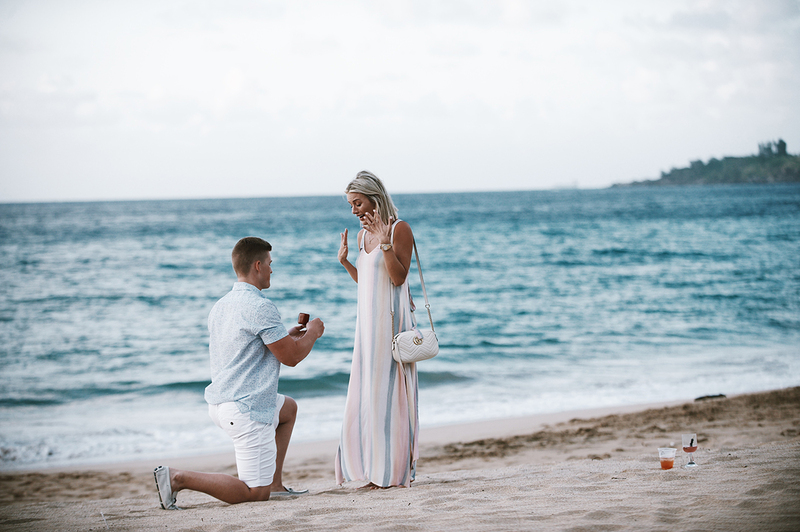 Now, the ring situation is an entirely different story but I can’t write this post without mentioning Gary of Adler’s Jewelry. He has been our family jeweler for many years and is one of the best around!! Thank you for making that 14 hr round-trip drive to Dallas to guarantee the ring would make it to Hawaii for our special day. 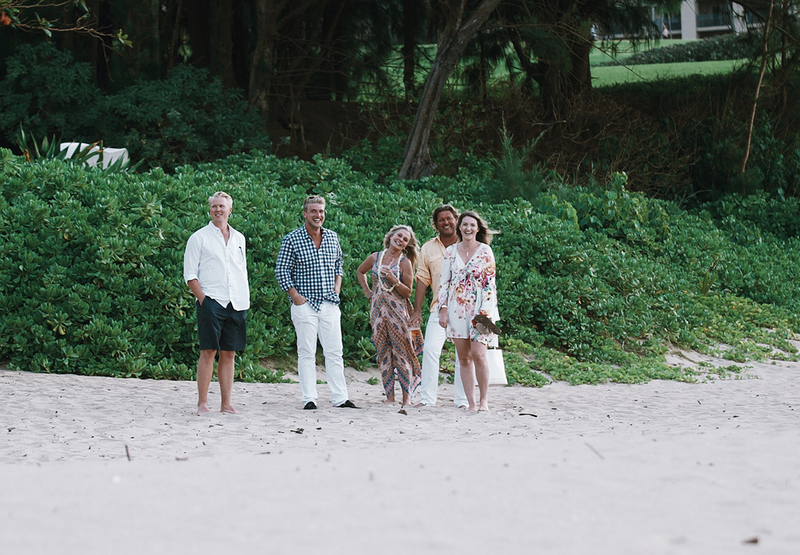 Having my family there at my engagement was the most important thing to me. The next most important thing was to have it photographed. 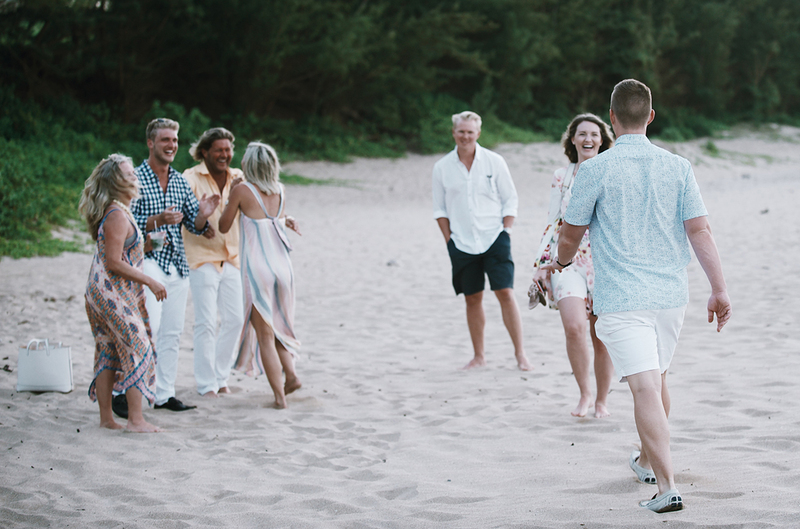 Aside from good blog content (haha), being able to look back at these photos and live through the play-by-play of our engagement is so special and something I will forever cherish. A huge thank you to Kati Gomez of Better Together Photography for capturing our love so perfectly! Kyle — I love you, you’re my everything, and I can’t wait to be your wife!! The proposal was a fairytale and all I ever dreamed of. Cheers to the engaged life!! Congratulations! 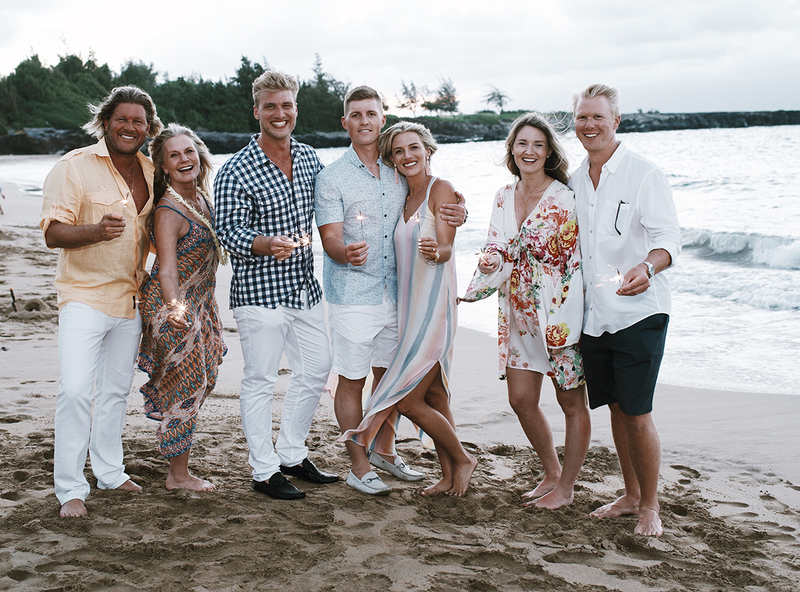 That really does seem like a fairytale way to get engaged; what’s better than Hawaii?! 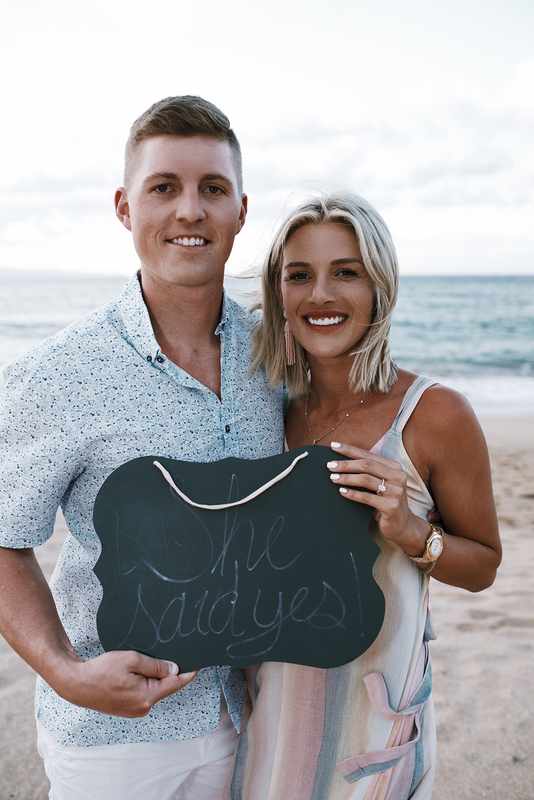 Can’t wait to follow along during the wedding planning! CONGRATS!!!!!!!!!!!!!!!! This was so perfect!! SO happy for yall!! Such a great story, can’t believe the last minute location change!